Product information "Triple Block Stripe Silk Tie - Forest / Rust / Brown - Handrolled"
Forest, rust and brown is a great color combination, brought to life by a classic stripe pattern in silk repp. Wonderful with a dark grey suit, light blue shirt, Irish linen pocket square, espresso barathea braces and any kind of brown loafers. 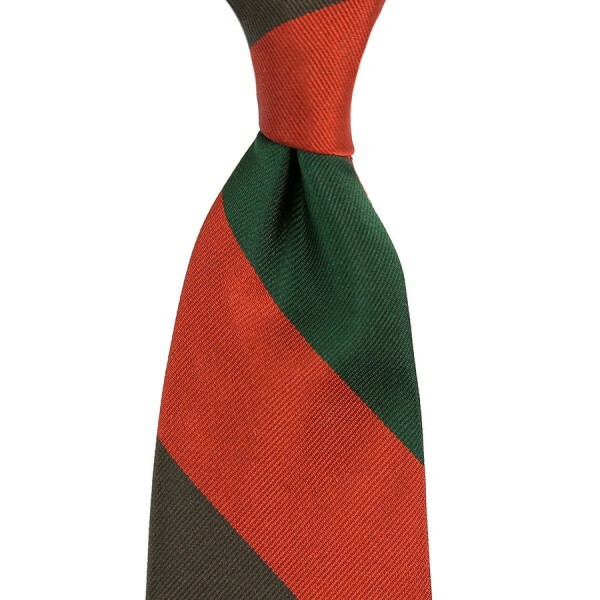 Related links to "Triple Block Stripe Silk Tie - Forest / Rust / Brown - Handrolled"